Recently we were very lucky to be able to review the Disney Pictopia, well the lovely people at Esdevium were kind enough to send out another game for my girls and I to play with in exchange for letting you know what we thought about it. 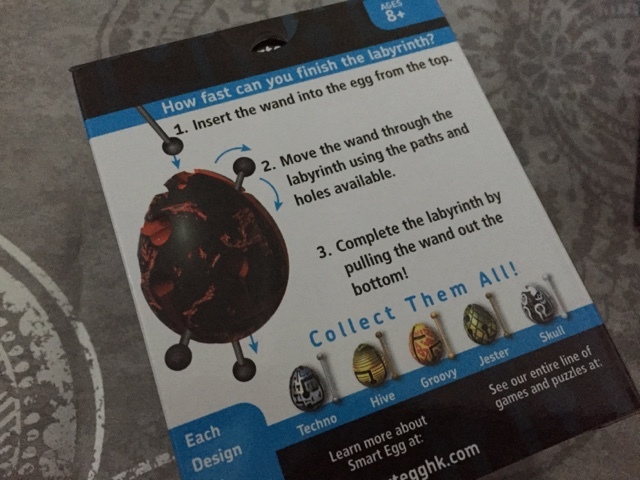 We eceived to of the Smart Egg Labyrinth Puzzle range to try out. Now on first glance you'd be mistaken into thinking that these were going to be easy to complete and inturn maybe not the best fun but I'm here to tell you that these Smart Eggs are highly entertaining for all of the family. There are 12 different ones available, they can be purchased for £5.99 from Waterstones. Each one comes with an egg and a wand. These are all one layer eggs. There are 2 layer eggs which will be available next year if you want an even harder task. 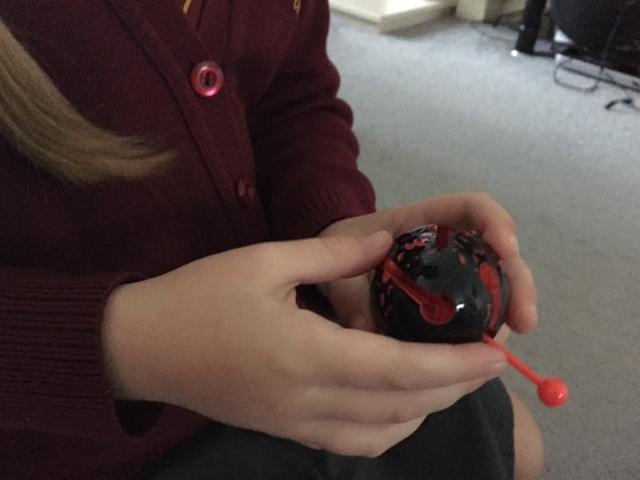 The aim is to slot the wand in at the top of the egg and work out how to make it through the maze and get it out at the bottom. There are no unnecessary routes, no dead ends so the pathway is meant to be straight forward, meant to be…. 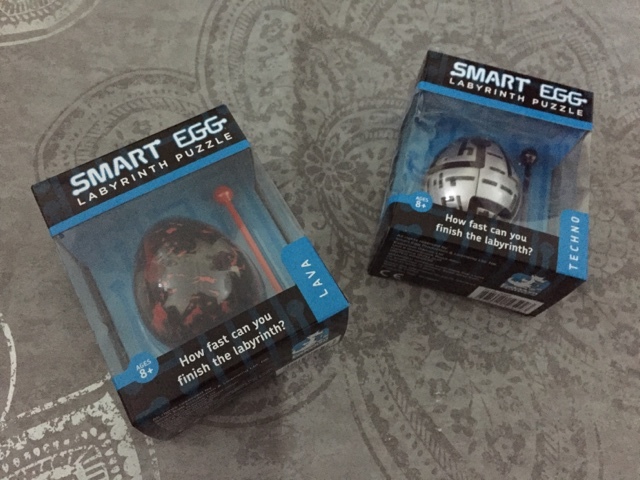 We received the Lava and Techno versions, these are level 7 and level 8 and eggs so quite hard. I think the trick is to stay calm as when you start getting frustrated you make mistakes. The eggs themselves look great, every one has a different design printed on it, the techno one looks very futuristic. 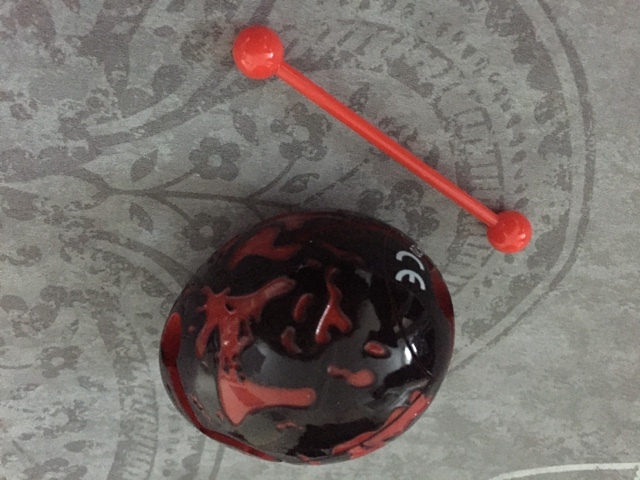 To complete the 3D puzzle you have to use a series of in and out movements, moving the wand down the egg in various directions and slotting it into holes provided. Not as easy as you might have thought in the beginning. A great gift, perhaps a stocking filler? We are aiming to collect them all now. Will you take the smart egg challenge? Disclaimer : We were sent this toy FOC for reviewing purposes however all thoughts and opinions are my own. I've never heard of these before but j think my nephew would probably love one. My husband loves a good puzzle so I think this would suit him down to the ground.